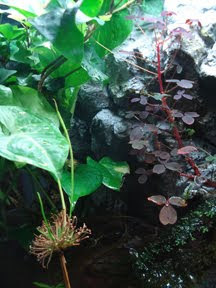 A while back I shared some photos of Keri's paludarium on the F&M... and presto- we have more to oggle! 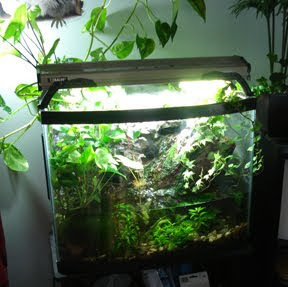 Keri keeps this gorgeous set up in her cubicle! I wish I could have something so engaging in my office- but maybe it's for the better -= I'd probably be absorbed with peering into it all day and never get any work done.